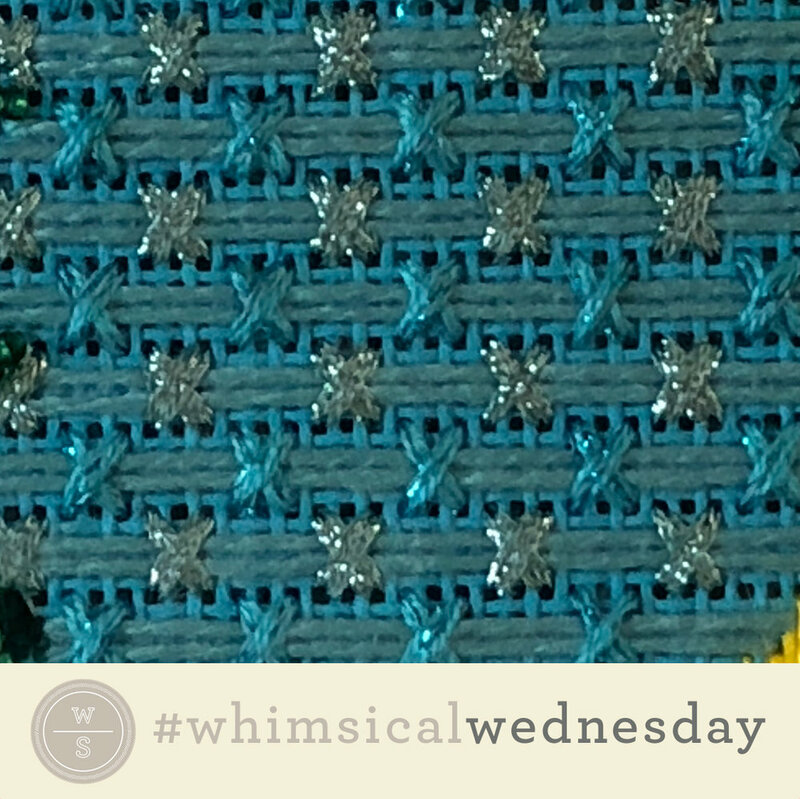 Today’s stitch is a fun tramme with a wide blue base and two kinds of blue sparkle. A trifecta of blue, if you will! Win win (win)! Today's stitch comes from Royal Peeps, a Zecca workshop I put together a couple summers ago. It uses Vineyard Silk, Silk Lame, and Fyre Werks on 18 mesh. I used it for a tail on Royal Peeps. It would make great ground cover or a roof with Vineyard Silk (black lines) and a couple interesting matte threads, such as Lorikeet (aqua lines) and a perle cotton (turquoise lines). A more dramatic version, including Very Velvet, Kreinik Metallics, and Neon Rays would make great clothing. 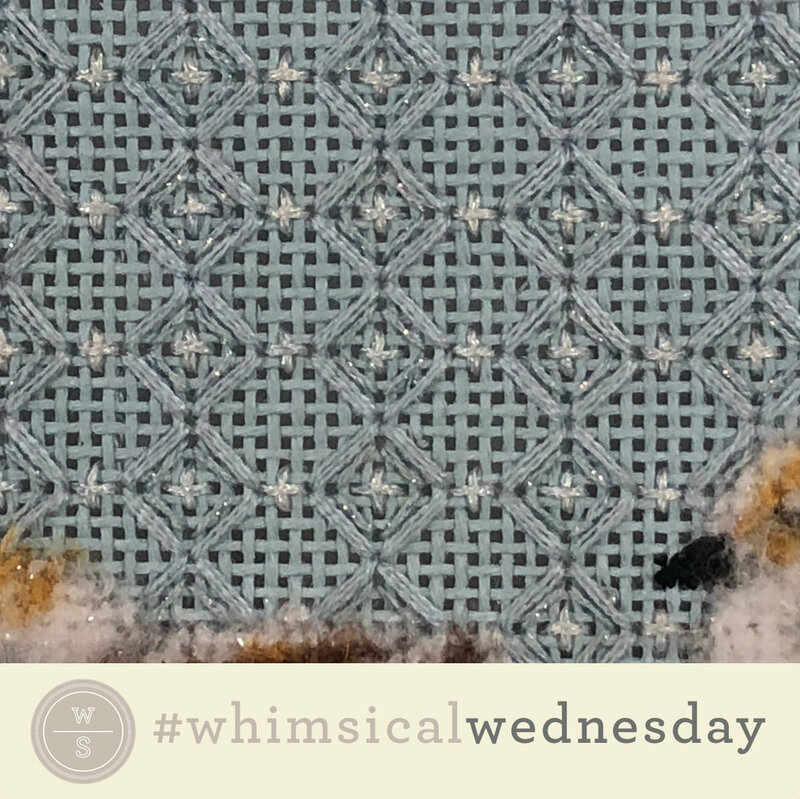 Consider flipping it 90 degrees and using it for wallpaper with lighter weight threads such as DMC Perle #8 (black lines), Kreinik Metallics Fine Braid (#8) (aqua lines), and a silk floss (turquoise lines). 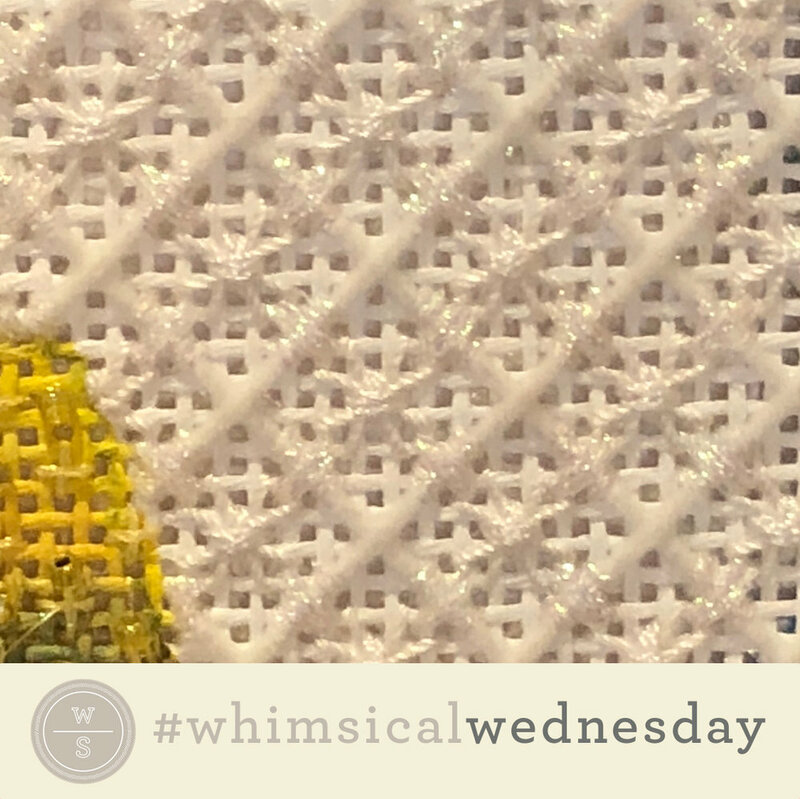 The final post for July includes the last open stitch example from the I-Will-Never-Finish white flower project. 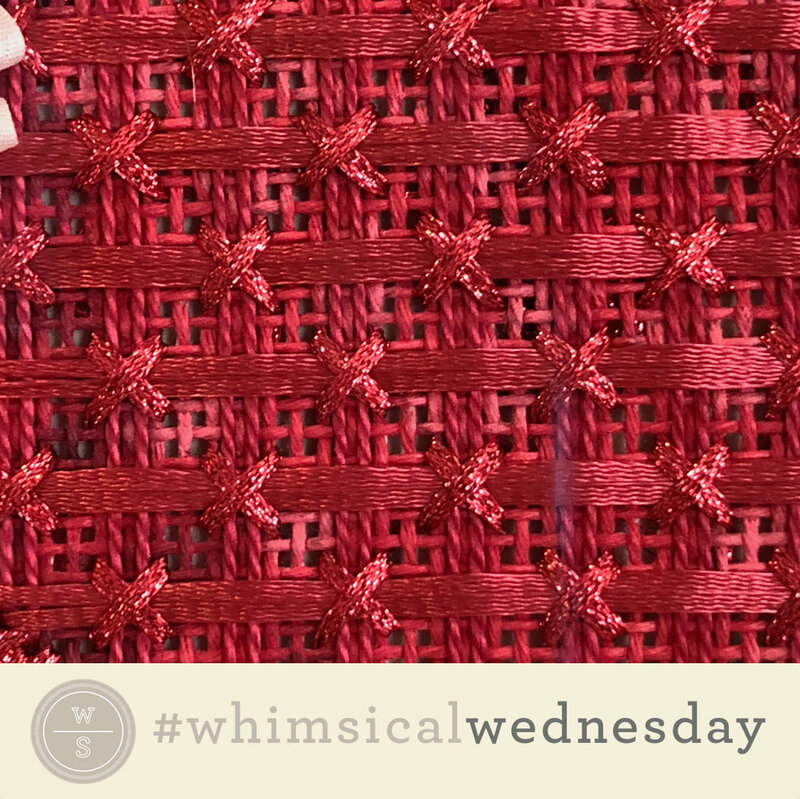 The stitch is a cousin of both the Parisian and Brick stitch. There are three things I like about this stitch. 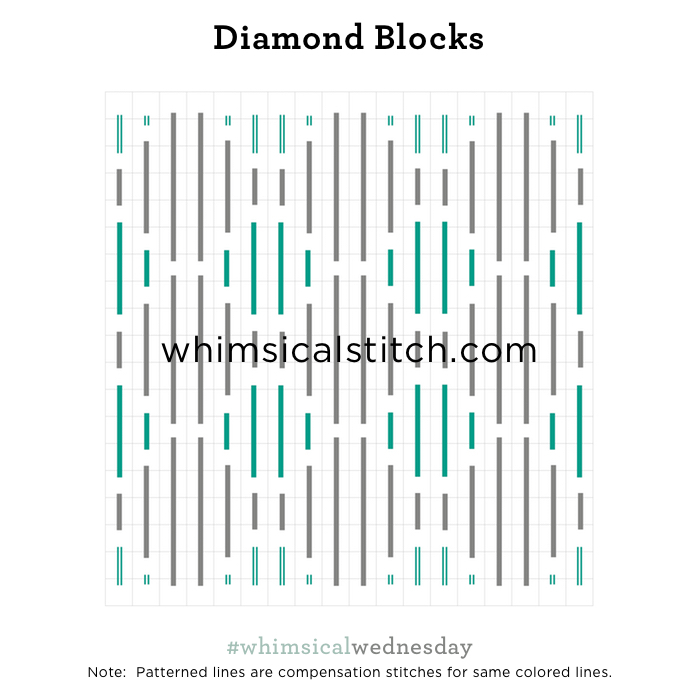 The first is the primary stitch element (over 2-2-4-4-2-2 rows) is not a perfect pair. Check. On the off chance you didn't know, I'm always a fan of skipping a row between columns. Check. The oblique Upright Cross between the primary elements is a pleasant surprise. Check. 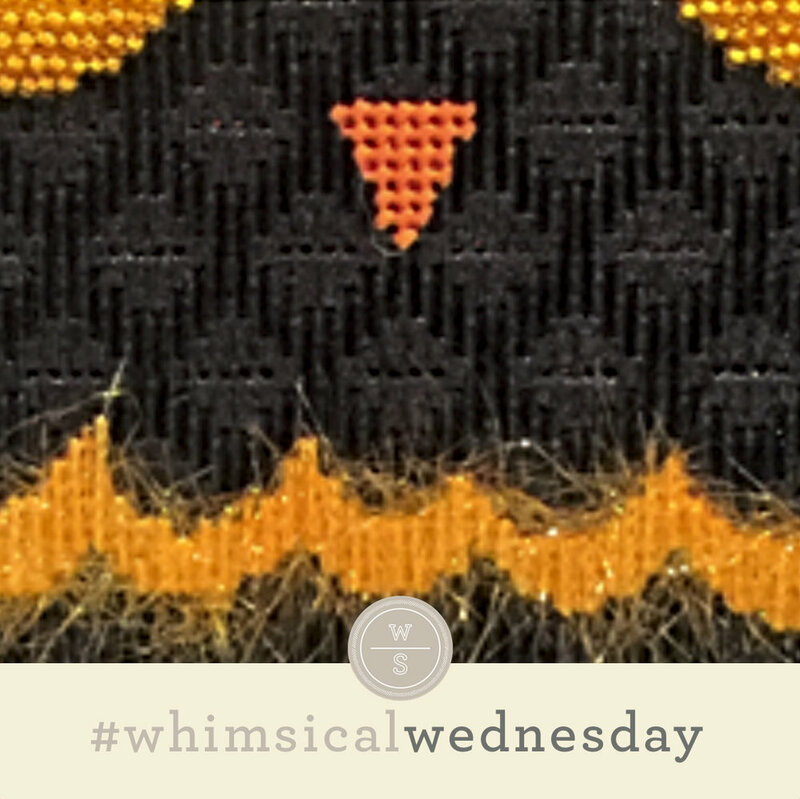 The stitched sample uses Kreinik Metallics Fine Braid (#8), Trebizond Silk, and Flair. 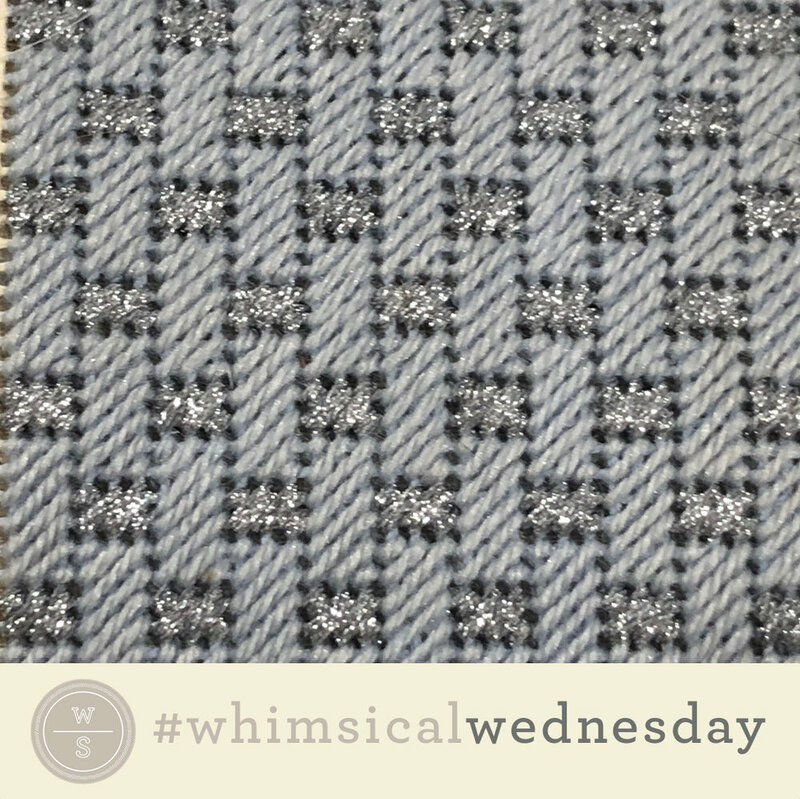 I would love to see this stitch as a roof with a mix of textures, solid colors, and variegated colors, such as Rainbow Linen, Treenway Tranquility, and maybe a little Burmilana thrown in for good measure. 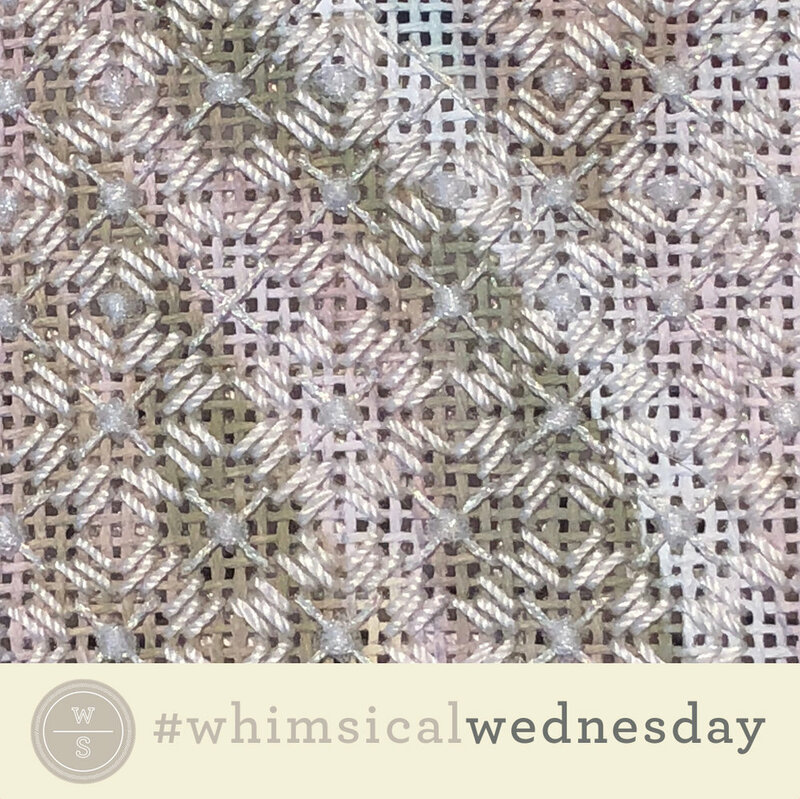 It would also make wonderful water with my water favorites of Kreinik Metallics and Petite Silk Lame. I would use Flair for the oblique Upright Cross in that example. 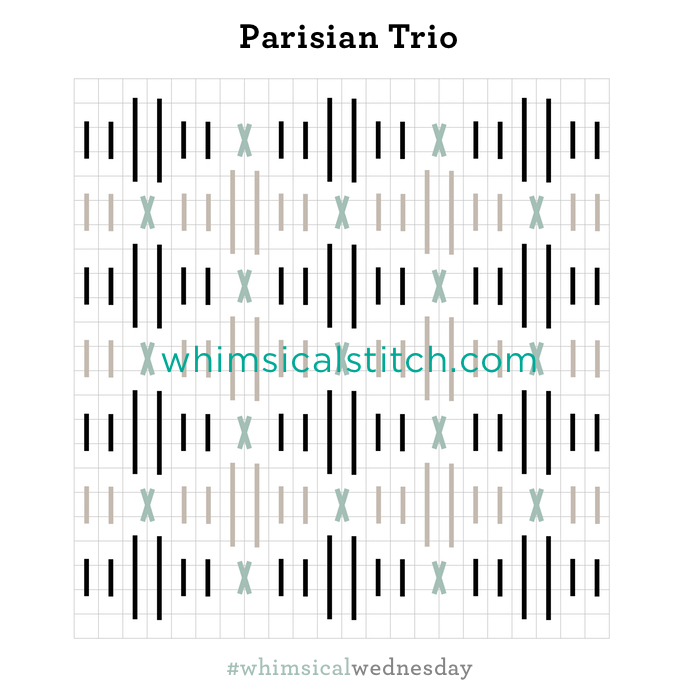 My last idea is to rotate the stitch 45° and stitch it in vertical columns for clothing. I would love to see this stitch as pants on Santa or a nutcracker. Here my mind is playing with Petite Very Velvet, Pepper Pot Silk, and Fyre Werks.